Even before what is now Martin County was first visited by English explorers, it was inhabited by Native Americans who were adept at satisfying their needs from the richly supplied forests and streams. In 1774, Martin County was formed from Tyrrell and Halifax Counties in the midst of one of the most turbulent periods of American history. It was less than three years after the Battle of Alamance near Hillsborough, between the “Regulators” and North Carolina militia called up by Royalist Governor Tryon – generally considered one of the first skirmishes of the American Revolution -and only a few months before the first meeting of the North Carolina Provincial Congress independent of royal authority in August, 1774. Attempts to establish a new county for the territory which eventually became Martin had been launched more than four years previously. Residents of the area had been experiencing some difficulty and considerable expense in attending to their affairs at the seats of government for the two counties in which they were then living. William Slade, a representative from the section in the Colonial House of Commons, made several efforts to have the new county created from upper Tyrrell and lower Halifax and co-sponsored a number of bills to that effect during 1769, 1770 and 1771. He succeeded in getting the bills passed by the lower chamber several times, but they evidently failed to secure approval of the governor or council, as none of them ever became law while he was in the General Assembly. 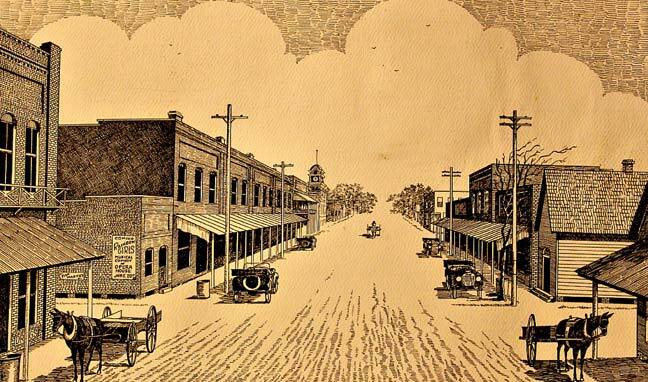 Some of this information was excerpted from the “Martin County History, Volume l”, which may be purchased at the Martin County Travel and Tourism Office.